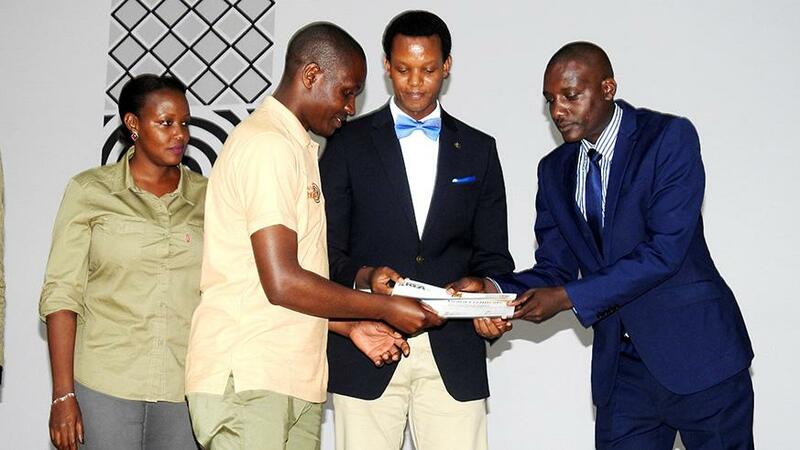 In a bid to improve professionalism in the tourisim industry in Rwanda, 45 tour guides have been awarded grades. Four were graded silver while the other 41 were graded bronze by the Rwanda Tour Guide Association. The grades were awarded on Friday evening at the Kigali Conference and Exhibition Village after an exhaustive assessment. Dr. Edwin Sebuhoro, the CEO of Rwanda Ecotourism, a company that does ecotourism services, says that the training and the certification of the tour guides is to make sure that they are able to take care of the tourists and give them an educational experience, to interpret the events, be cultural, and be biodiversity and everything of the country to them, which makes them “spend more”. This is because, according to Sebuhoro, tourism is a “people to people” experience. On May 23, Rwanda Development Board (RDB) signed a deal, with Arsenal Football Club, which will see the ‘Visit Rwanda’ logo on the team’s left sleeve in the next three seasons. The grading and awarding event came “timely” with the MICE (Meetings, Incentives, Conferences and Exhibitions) strategy and the deal worth £28 million according to Dr. Sebuhoro. Sebuhoro believes the deal that aims to boost Rwanda’s tourism revenues will pay off because marketing is a “science” and through the deal, Rwanda is doing the “PR” for itself and to see the deal succeed, people at airports, waitresses in hotels and tour guides at the parks have to be trained on how to deal with tourists, which will make them come back and spend more in Rwanda.